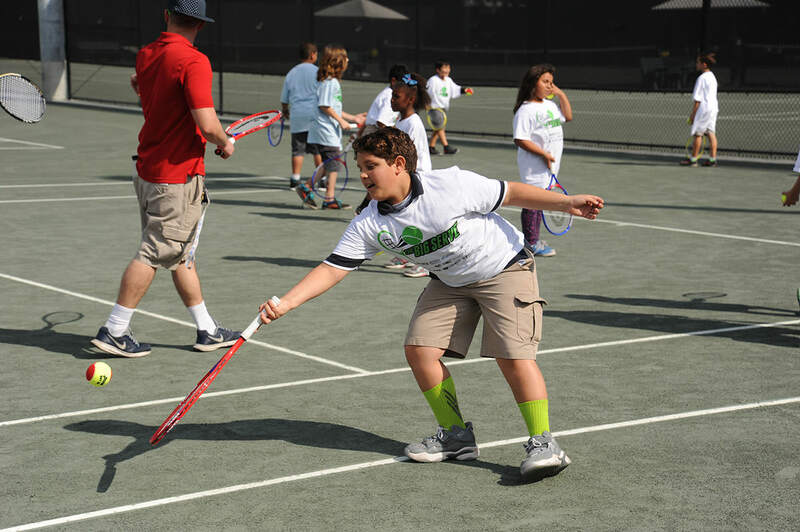 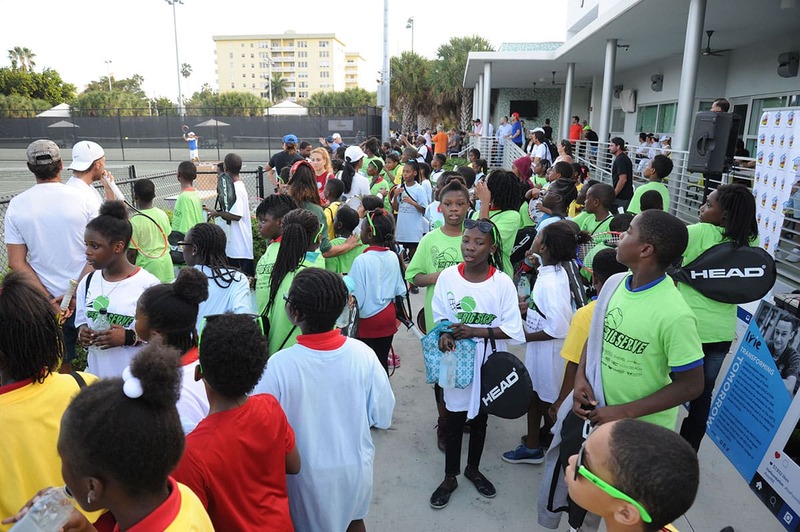 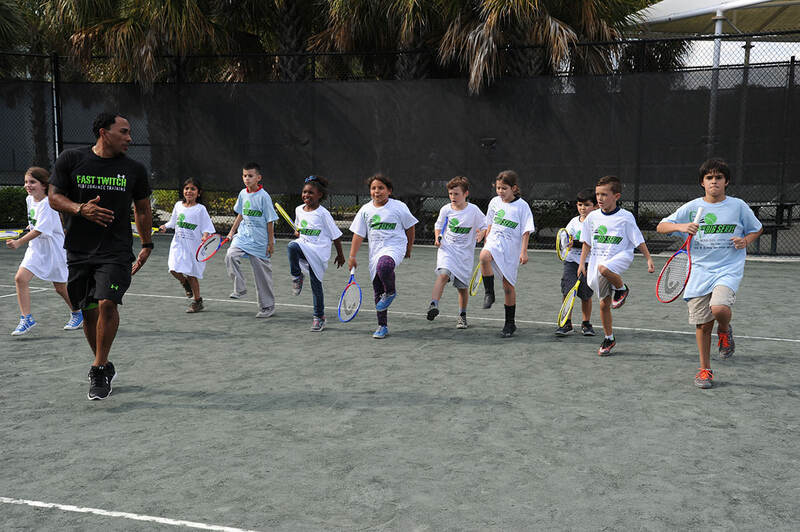 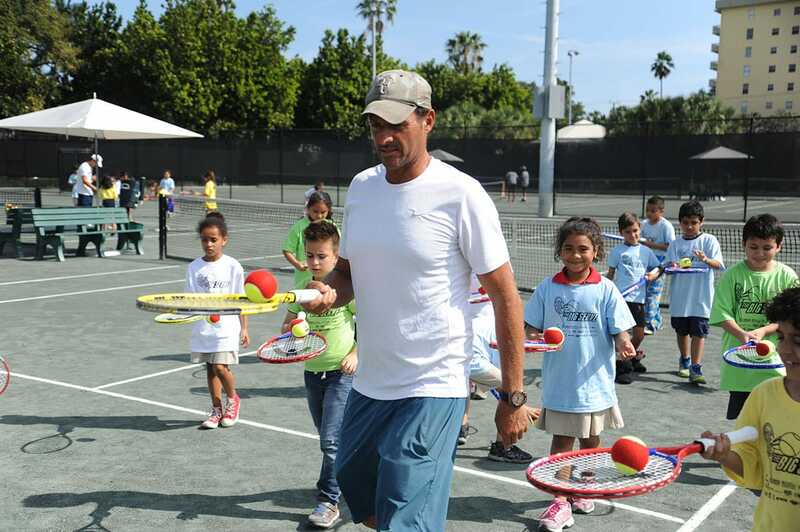 Prior to the Miami Open professional tennis event in March, Miami’s underserved youth were the recipients of The Big Serve, a first-time professional tennis play event and clinic that is planned to be an annual event at the Flamingo Center in Miami Beach. 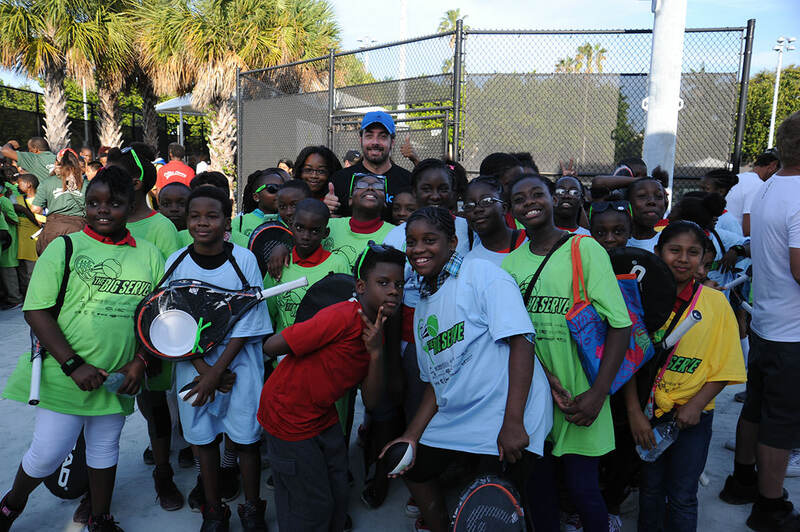 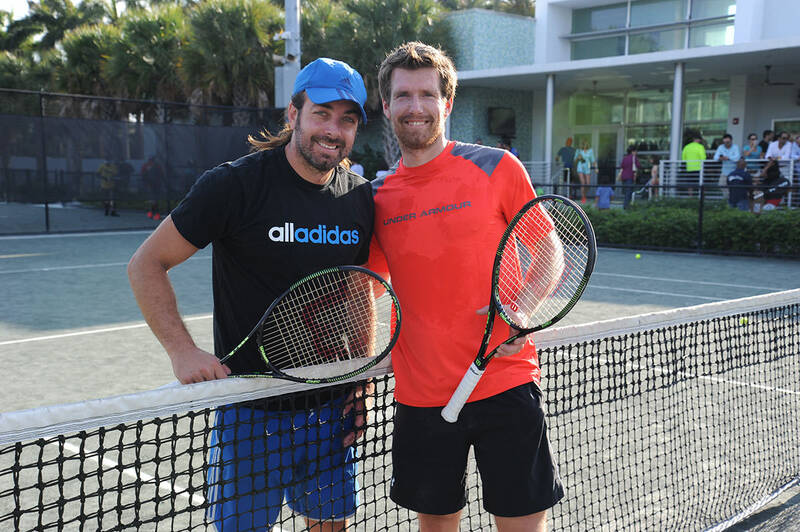 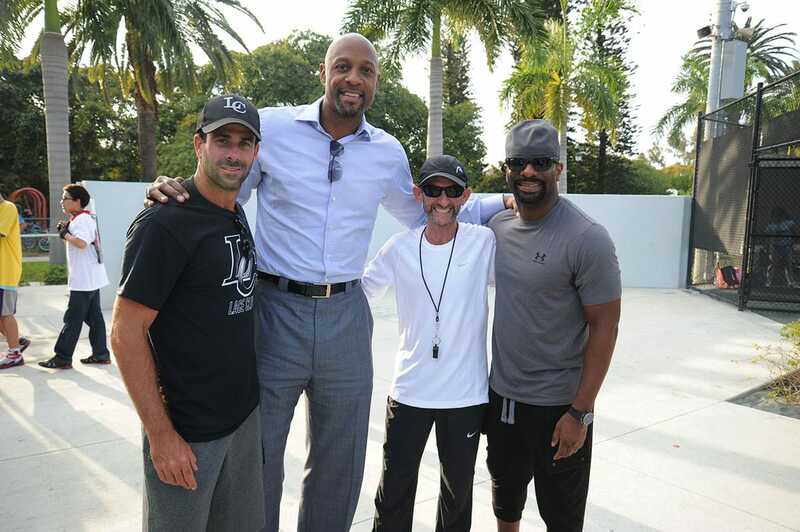 More than 400 kids participated and were thrilled to mingle with celebrities such as Chilean Olympic tennis gold medalist Nicolas Massu, fellow pro Alexander Peya, former Miami Heat star Alonzo Mourning, local favorite DJ Irie, and City of Miami Beach Mayor Phillip Levine among others. 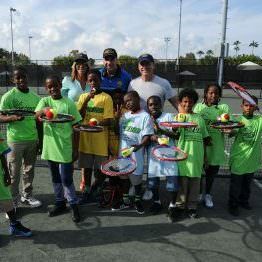 The event was organized by Jonathan Nussbaum and Flamingo Park Tennis Director Howie Orlin in partnership with USTA Florida. 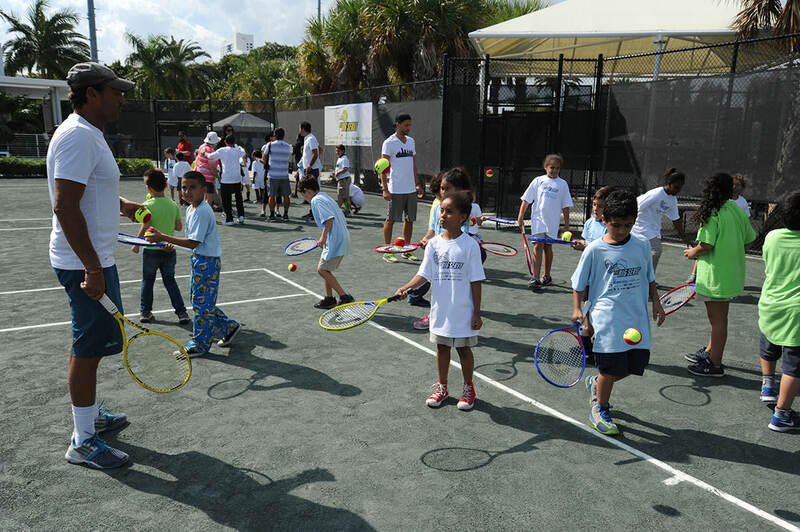 Student participants age 6-14 were from the Overtown Youth Center, the DJ Irie Foundation, Wades’ World Foundation, and the Orlin Foundation. 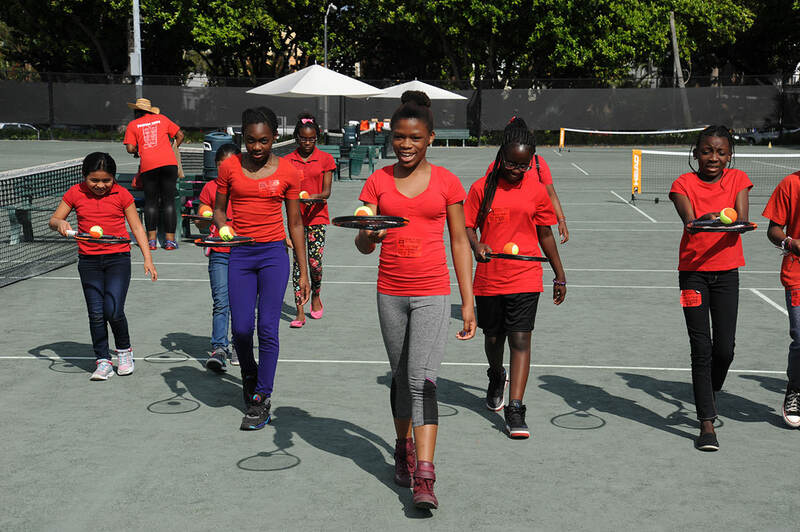 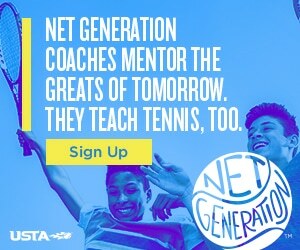 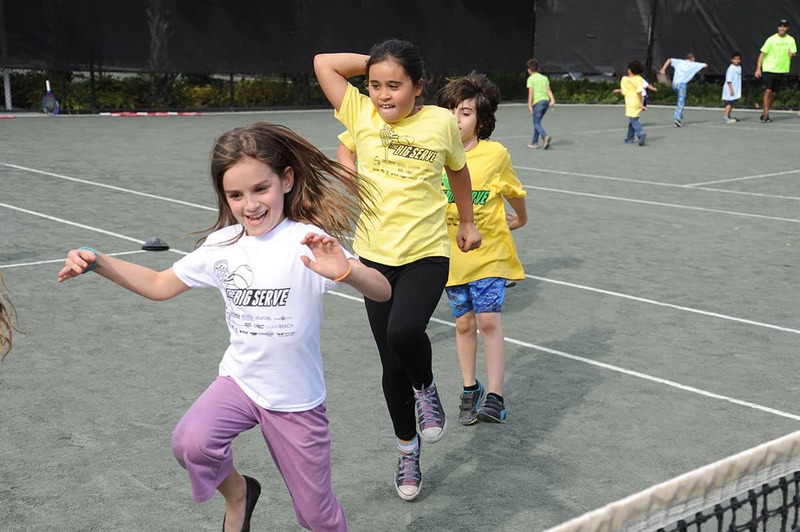 Using 13 courts with tennis teaching professionals and volunteers, the children for two hours experienced tennis activities and games on court, a fitness station, refreshments provided by Shake Shack, and a short pro exhibition. 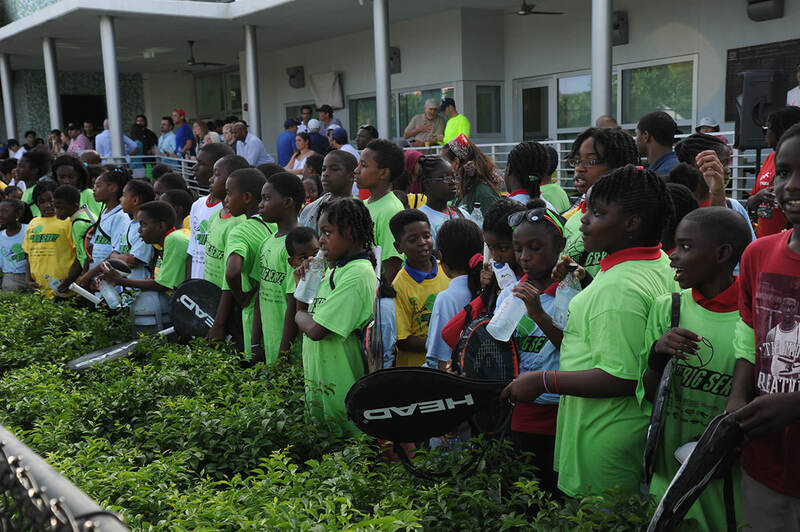 All of the children received a youth tennis racquet and the larger red tennis ball, an event t-shirt, and packs of Lace Clips. 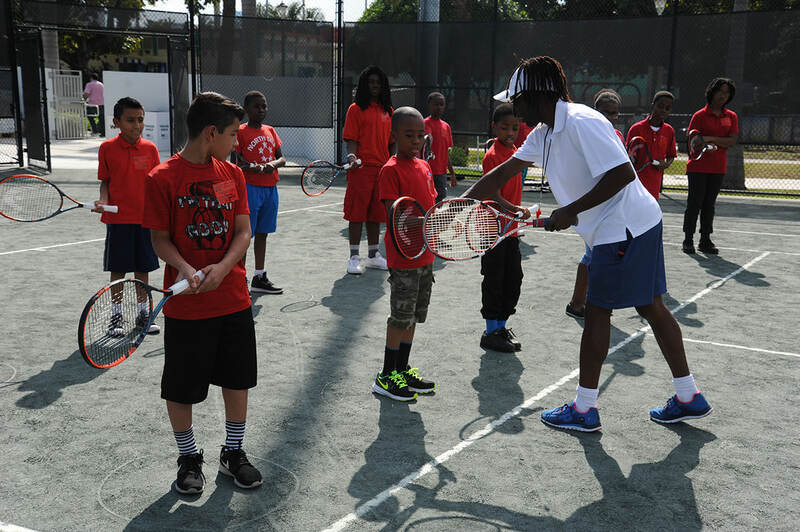 USTA Florida Tennis Program Coordinator for the Miami area Cathy Nordlund is liaison to the youth organizations to provide future resources. 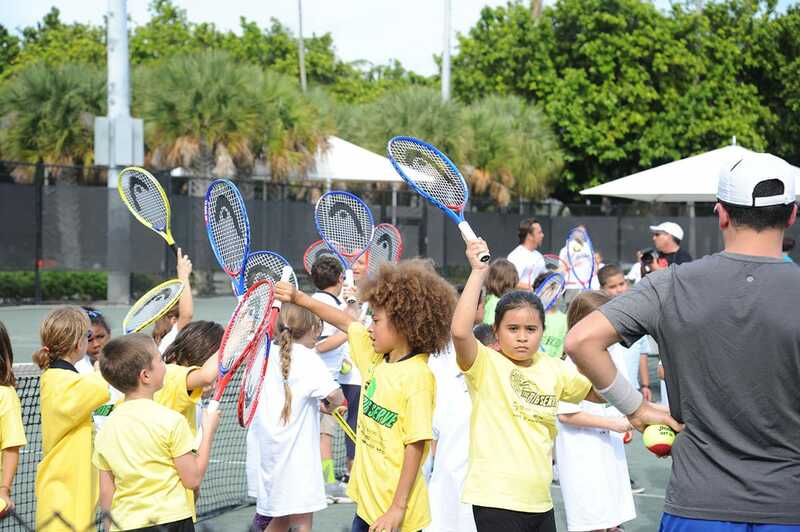 “Cathy has offered to work with all of the organizations to make them aware of the USTA resources available to them, and for them to continue to have tennis in the kids’ lives,” said USTA Florida volunteer Susan Allshouse. 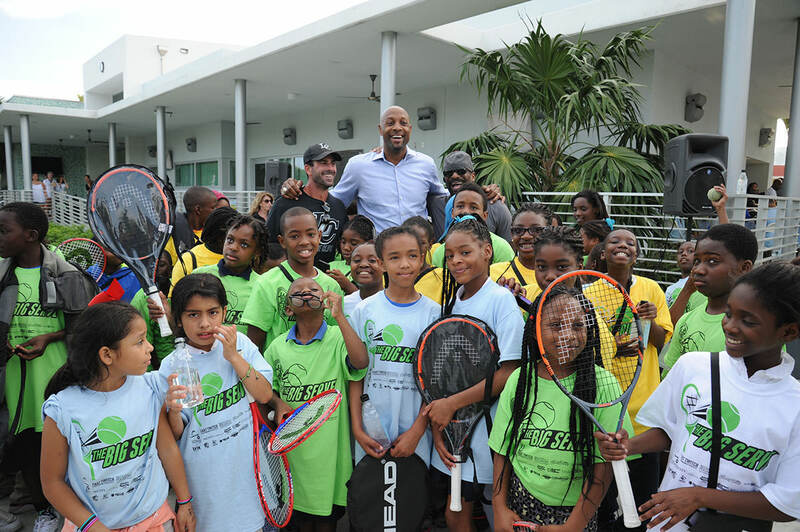 All proceeds from the event benefited Overtown Youth Center, The DJ Irie Foundation, Wade’s World Foundation and the Miami Beach Tennis Foundation. 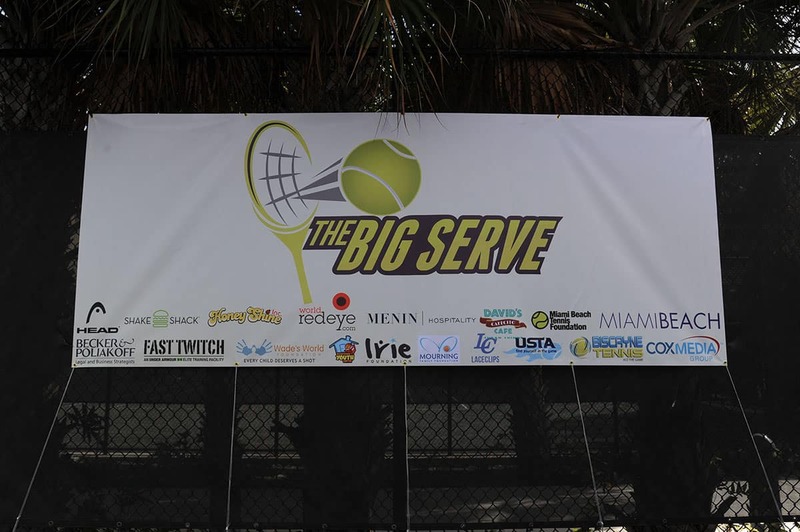 For more info on the effort or to donate go to www.thebigserve.miami.